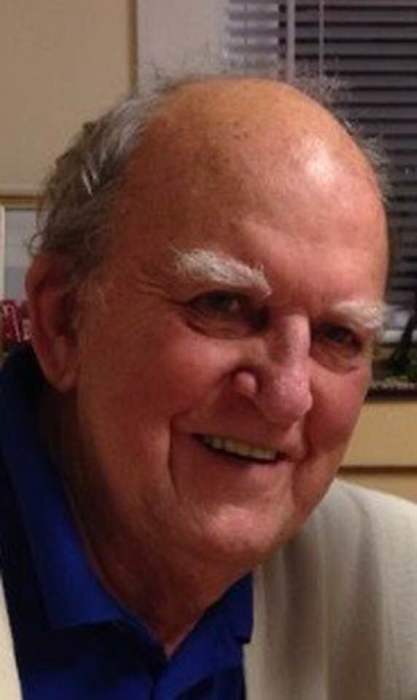 Thomas J. Ryan of Belmont, formerly of Cambridge, died suddenly on March 26, 2018. Beloved husband of Jean A. (McDougall) Ryan. Loving father of James and his wife Kathy of North Kingstown, RI, Thomas and his wife Kim of Bedford, John and his wife Sarah of Watertown and Joan Giddings and her husband Bryan of Stoneham. Proud grandfather of Julie, Matthew, Sam,Taylor, Nate and Molly Ryan and Dylan and Sydney Giddings. Brother of Steve Ryan of Belmont and the late Robert Ryan and Kathryn Lovejoy. Also survived by many nieces and nephews. Funeral from the Brown & Hickey Funeral Home 36 Trapelo Rd. Belmont Tuesday at 9AM. Funeral mass in St. Peter's Church 100 Concord Ave.Cambridge at 10AM. Relatives and friends kindly invited. Visiting hours Monday 4-7PM. Late retired Manager, U.S.Post Office. Late U.S. Army Veteran, Korean War.